Coach Brown’s Physics students recently had the opportunity to apply their knowledge of physics and motion in the form of constructing catapults and trebuchets. 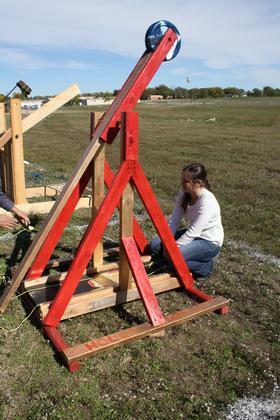 The students were assigned a project for the second six weeks to build a catapult or trebuchet in order to launch a softball. Parameters were specified and there were various checkpoints along the way, such as written plans and a video of construction. After the catapults were completed, they were used to launch a softball in three separate trials. Students were able to measure the distance the ball traveled and used a stopwatch to time how long the ball was in the air. By gathering these two pieces of information it was then possible to calculate other various aspects of the motion by using 2-dimensional motion analysis. 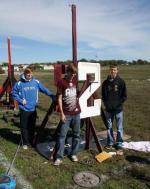 Students were able to calculate such things as launch angle and launch velocity. The project, adapted from several other similar assignments at various schools, provided a real world application of principles that high school students typically learn in a physics class. It gives them a very valid picture of how all of the abstract calculations they work on tirelessly can be related to something concrete. 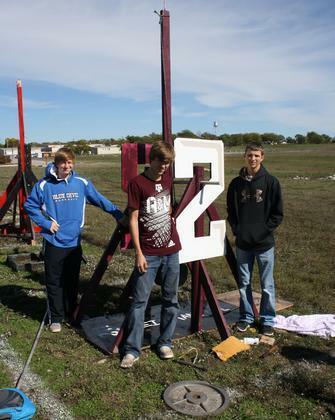 Visit the CISD Photo Gallery for more photos of the catapults.